When it comes to new home construction one of the most important items that needs to be initially created is a home construction schedule. A home construction schedule will enable the construction project to go much smoother and will reduce the risk of home construction delays. A home construction schedule should be created at the same time the home construction drawings are generated. It should include an overall start and completion date for the entire project, as well as start and finish dates for each phase of the project. This way subcontractors can be given target start dates, to help with their own business planning. As a matter of fact, each subcontractor should be provided with a copy of the entire home construction schedule so there is no reason for miscommunication. By creating and distributing a home construction schedule you will not only be helping your subcontractors, but also yourself as they will be more likely to show up on the site when you need them. The home construction schedule should also include key material delivery dates, such as framing lumber, doors and windows, kitchen cabinets, bathroom fixtures, and any other building materials that typically have long lead times. The last thing you want to have happen on your new home construction project is labor on site with no building material. This is the quickest way to blow your home construction schedule and plans. Once the contractor or subcontractors leave the jobsite, it maybe days or weeks to get them back, and sometimes you may need to even incentivize them a little to do so. 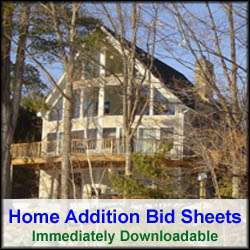 So start your new home construction or home remodeling project off on the right foot by generating a complete set of house plans and a home construction schedule.